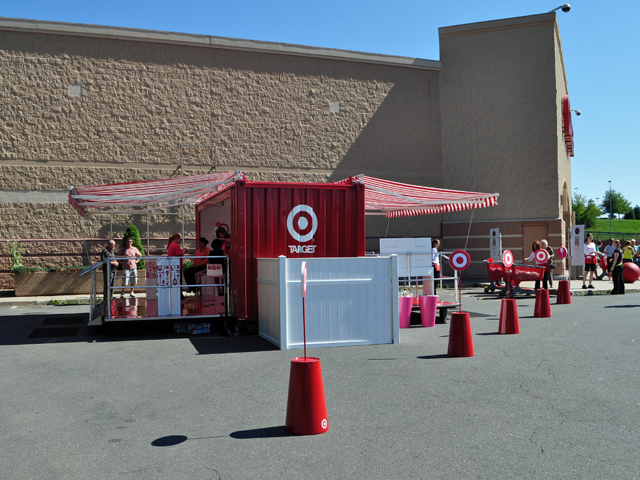 Back in the days when I was still working product promotions in Minneapolis I would have killed to do an event for Target Beauty! But alas I’ve grown up and get “stuck” on the museum tours. Thankfully I can live vicariously through Traci and crash her events. Lucky for me last week she was just one town over with her tour for Target Beauty. This is truly a unique contraption, MRA has converted a shipping container into beauty salon! It amazes me the things we are able to do in creating unique mobiles for our clients. They work with an inventive marketing firm on this project; helping to make their imagination reality. I couldn’t help but act like a giddy teenager around the “can”, this thing is way cool. 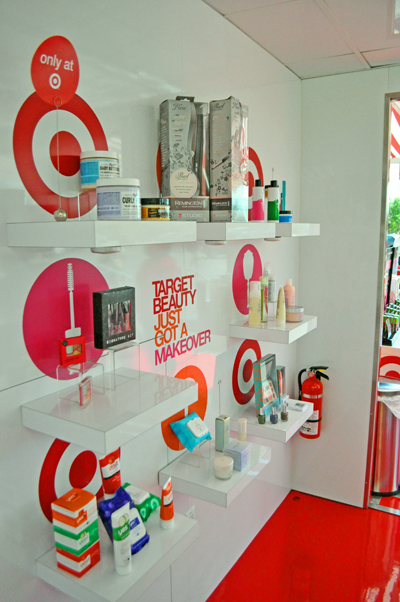 You can see Target guests getting a Makeover from the Maybelline stylists. How fun would it be to get all dolled up by these gals?